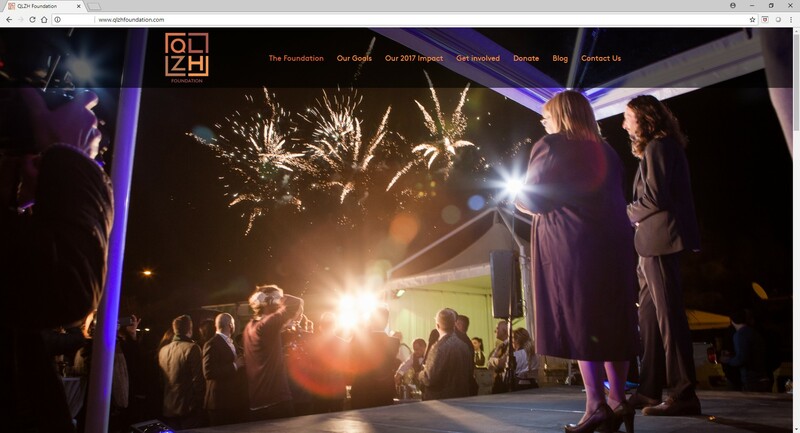 The QLZH Foundation, the philanthropic arm of the QLZH Group launched its new website and brand identity on Wednesday 29th August. The Foundation logo combines the two brands that started it all, QuickLets and Zanzi Homes. Four complementing colours of browns and orange were selected to evoke the natural hues of earth and nature, representing the Foundation’s commitment to the environment and humanity. The causes the Foundation built itself on are the environment, education, and adequate housing. The Foundation has five main goals which it has already started achieving since the inception of the two mother companies. Zanzi Homes has been planting a tree for every house sold whereas QuickLets has been sponsoring the education of a child in Ghana for every property rented in Malta. The Foundation has also set itself the goal of building a school in Africa as well as planting one million trees over ten years. Together with all of this, the Foundation’s long-term goal is to build a home on the African continent for every house sold in Malta. Steve Mercieca, Founder of the QLZH Foundation explains, “We are very excited to give a face and an identity to our Foundation. From the first day we set out on the journey to build QuickLets and Zanzi Homes, we always knew that we wanted to create more than an estate agency. We believed we had the opportunity to create a culture, a movement that would spark our team members, the public and other companies to make the environment we and our brothers and sisters in Africa live in a little bit cleaner and healthier”. The Foundation has already planted just below one thousand trees in Malta as well as donated hundreds of books to two schools in Ghana. Together with this, the Foundation is behind three ocean bed cleanups as well as eight beach awareness campaigns by the Plastic Police Squad where its team members collected bags-full of rubbish whilst educating bathers about the harm of single-use plastic. Besides these activities, the QLZH Foundation organises a number of ad hoc activities in society such as blood donation drives, visits to Saint Vincent de Paul, activities for Movember and the yearly campaign Make a Zanzi Wish that gives the opportunity to hospitalised children to choose any gift they would like for Christmas. The honorary patron of the QLZH Foundation is Her Excellency Marie-Louise Coleiro Preca, President of Malta. On the 28th of September, the Foundation will be organising its first fundraising reception at Verdala Palace. All ticket proceeds will be donated to the causes of the Foundation. More information can be found on the Foundation’s website www.qlzhfoundation.com as well as its Facebook page. The website also offers an easy facility to donate the Foundation’s causes. The QLZH Foundation is fully registered under the laws of Malta with VO number VO/1515.